Finding the perfect countertop for your kitchen is exciting, but it can also be stressful. With so many different materials on the market, how can you know which one is right for your kitchen? Two of the most popular options today are quartz and granite. Both have pros and cons, meaning you will need to look at your individual situation before making a final decision to see which one lines up with your wants. Here is a quick overview of the two types of materials to help you make your decision. Granite is 100% natural. It is a stone cut into slabs and used for countertops. Quartz countertops are 95 percent ground up quartz and the other 5 percent is polymer resins mixed into the stone. This means the patterns found in your granite countertops occur in nature while the colors and patterns of quartz are man-made. It mostly comes down to a question of personal preference. If you prefer the one-of-a-kind look, go for granite. You may need to create your kitchen’s color scheme around the colors in the slab of granite. If you prefer to engineer your own color combination or to control the look of your counters, quartz is the way to go. Both granite and quartz are very durable options for the kitchen. Natural quartz is one of the hardest minerals on the planet. The non-porous material keeps out bacteria and food particles, keeping your kitchen clean and free from germs. Quartz countertops never need sealant, making them a great low-maintenance option for your kitchen. Granite is also a very durable option but needs a bit more maintenance to retain its beauty. Daily washing with warm water and soap will avoid any stains on the surface and help keep its shine. Granite countertops do require a sealant and require an application every couple of years to maintain their beauty. Because Granite is a naturally-occurring rock, it takes a significant amount of resources to pull it out of the ground, cut the slab, and haul it where it needs to go. Pieces of granite from other areas of the world can require even more resources to bring them to your home. This can cause a huge increase in the price, but also a waste of energy and fuel. Manufactured quartz comes from local factories as well as other areas of the world. The delivery costs are typically far less for a slab of quartz than a slab of granite, making quartz the more eco-friendly option in many cases. 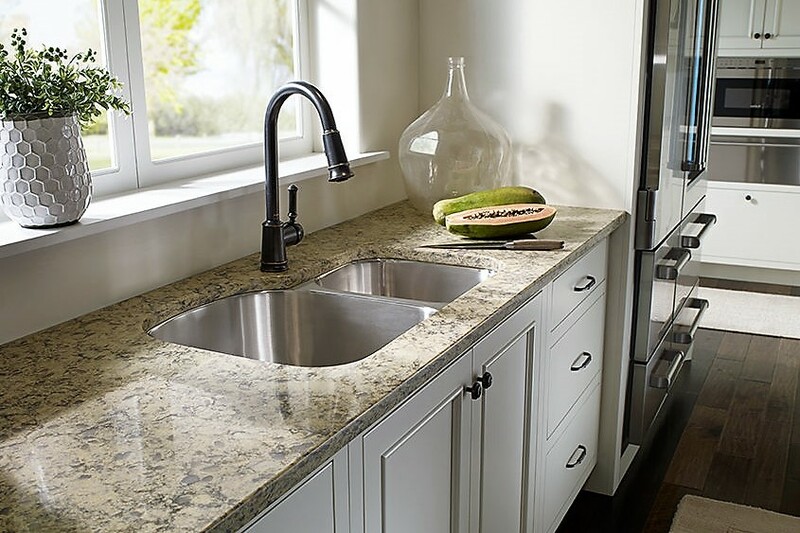 Both quartz and granite offer beautiful options for your kitchen remodel. Whichever way you choose to go, you can rest assured we will leave you nothing to worry about. Talk with us today about the option that will best fit your budget and your needs.